Real estate is one of the fastest booming sectors and investing in real estate is a great way to grow your wealth. Written in a simple and lucid language, this book comprehensively covers various investment opportunities in real estate, both commercially and individually. In the commercial category, the author suggests various areas for investing like service apartments, private country clubs, heritage houses, luxury condos, retirement villages, spiritual villages, farmhouses, and party places and banquet halls. For individuals, the investment can be in plots, apartments, and agricultural land. The book goes on to discuss the tax aspects and suggests ways to save tax on income from house property as well as in commercial properties. It also describes issues arising out of transfer of property and how to deal with it from the tax perspective. It outlines some innovative ideas for small investors and also provides practical tips for real estate developers. Notable legislative amendments relating to the real estate sector including the Finance Act, 2015, have also been incorporated and discussed at relevant places. With an understanding of tax implications and conservative financing, investors will get steady returns in the long run. 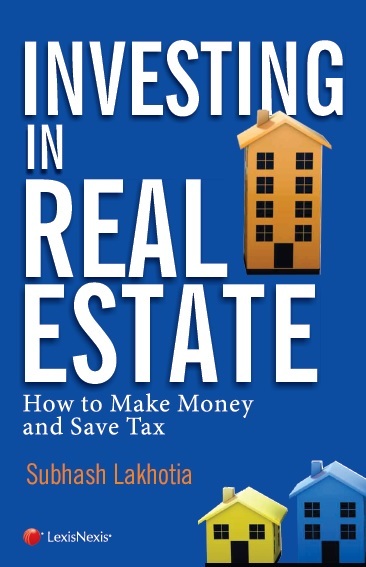 This book will benefit all those interested in making money in real estate.